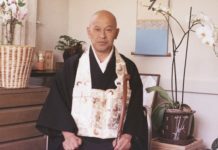 Oryoki is a ceremonial form of serving and eating meals, traditionally practiced in Zen monasteries. 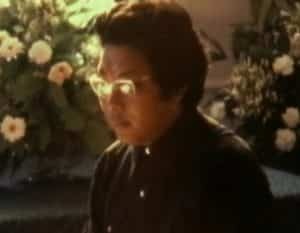 Under Trungpa Rinpoche’s direction, Oryoki became a standard part of practice life at seminaries and other programs. 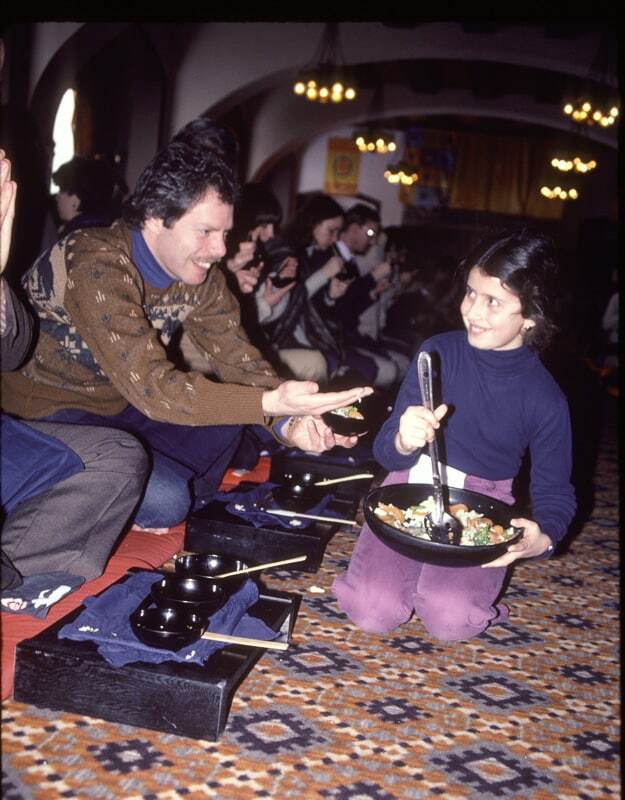 Oryoki meals start with chanting while each person opens their set of bowls. Then servers enter the shrine hall, each person is served, and everyone eats in silence. In this way, meals become a part of the continuity of practice. 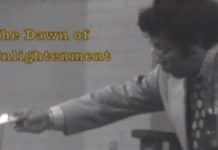 Watch 1980 Seminary Slideshow for images of oryoki practice. 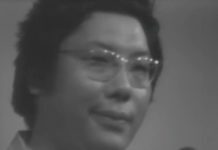 Trungpa Rinpoche introduced oryoki practice at the 1980 Seminary and when the seminarians returned home to their local centers, they taught oryoki to the sangha. I used to bring my daughter Nicole to oryoki practice sessions and she seemed to enjoy it. I was accepted to the 1981 seminary and planned on taking Nicole with me. I asked her if she wanted her own oryoki set and she said she did. The first few weeks of seminary, oryoki training was held each morning. It was pretty grueling. 350 people sat in the shrine room for two to three hours learning chants, how to eat a three bowl meal, bowing, etc. The servers would come around and put food in our bowls. Sometimes it didn’t taste so great. It was a silent meal, but occasionally one could hear a nine year old complain and put her food into mother’s bowl. 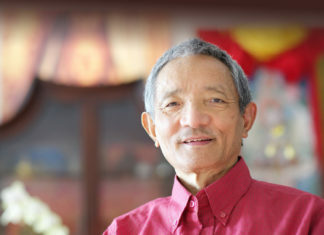 After a few weeks, it was announced that Rinpoche would be joining us for lunch the next day. We were all nervous. Nicole and I sat in the third row facing the Vidyadhara’s seat, which was on a high platform. Rinpoche walked in and sat down. 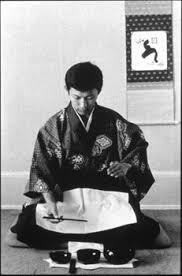 He had a beautiful black lacquer oryoki set and wore a Japanese robe. We began to chant. The servers entered from the kitchen with the three bowl meal: soup, main course and rice. We ate in silence. Then Rinpoche left and the meal was over. That afternoon Rinpoche’s secretary, Helen Green, asked me if Nicole was in the shrine room for lunch. 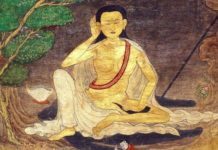 She said that Rinpoche was asking who the young lady was who knew all the chants by heart and ate so beautifully. The next day I had a kasung shift in Rinpoche’s suite. He came out of his sitting room and asked me how Nicole had learned oryoki so well. I explained that we had practiced at the New York Dharmadhatu, and told him how much she enjoyed it, and that she attended the practice sessions each morning at seminary. Rinpoche said that when we got home he wanted us to teach all the children at the Dharmadhatu oryoki and I promised I would. He realized that oryoki was a great practice for kids! During the three months of seminary, Nicole went on to become an oryoki server and then a monitor. Younger children knocked on our door each morning carrying their parents’ oryoki sets and Nicole would take them down to breakfast and teach them Oryoki. Often when people could not do their serving shift, they asked Nicole to take over for them. When we had our formal Kasung banquet, Nicole marched in with the servers dressed in her royal blue velvet blazer, white shirt and grey pleated shirt. Rinpoche’s eyes followed her around the shrine room as she served the rice. We were sitting in rows on the floor on cushions in formal blue and grey kasung uniforms. Rinpoche was beaming. When we came home, oryoki lunch was served at the Dharmadhatu during our monthly nyinthun (all day sitting). I kept my promise to the Vidyadhara by helping organize oryoki lunch. We encouraged parents to bring their children. 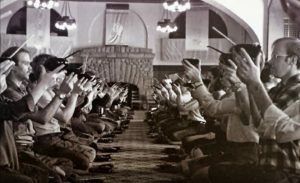 Nicole became a drummer in the shrine room to lead the chanting, and she taught serving. 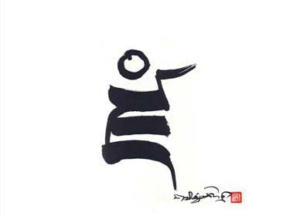 Oryoki is a great practice for children because it teaches them a form by which they can gain confidence. In 2016 our friend Marvin Moore, who attended the same seminary, sent us this surprise photo of Nicole serving Steve Armbruster. It captured a great moment in time which we wanted to share with all of you.